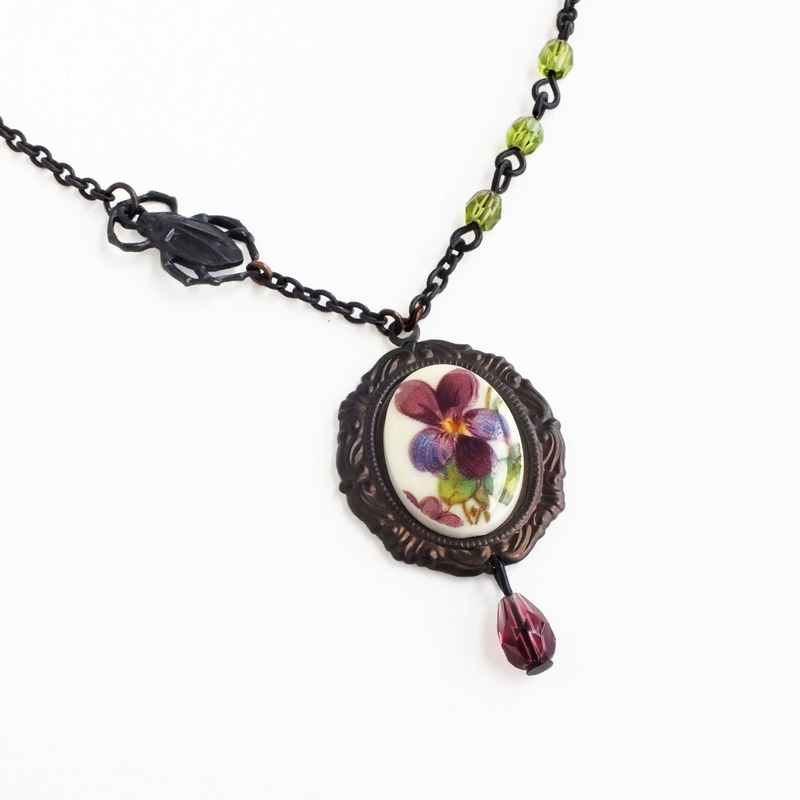 Handmade purpe pansy flower necklace with vintage violet floral cameo pendant. 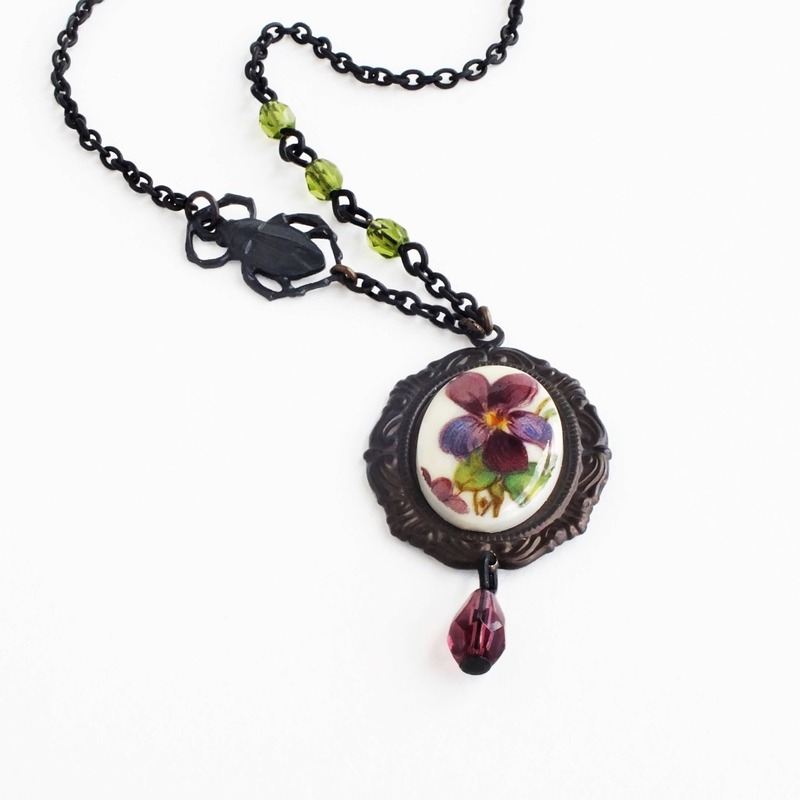 US made oxidized brass frame, chain and charm. 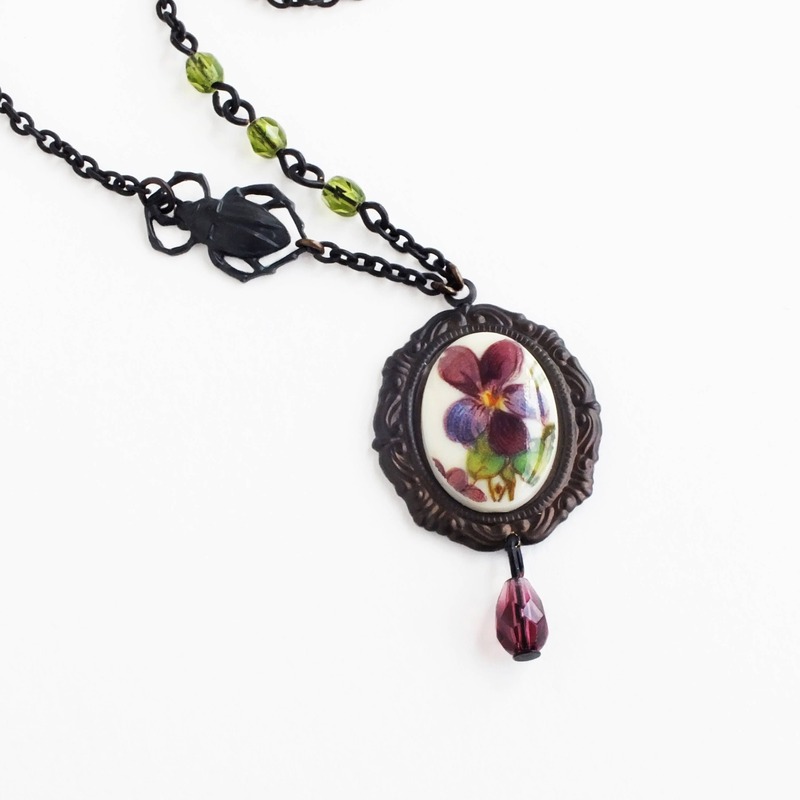 Pendant is 7/8 x 1 5/8 inch - 2 x 4 cm. 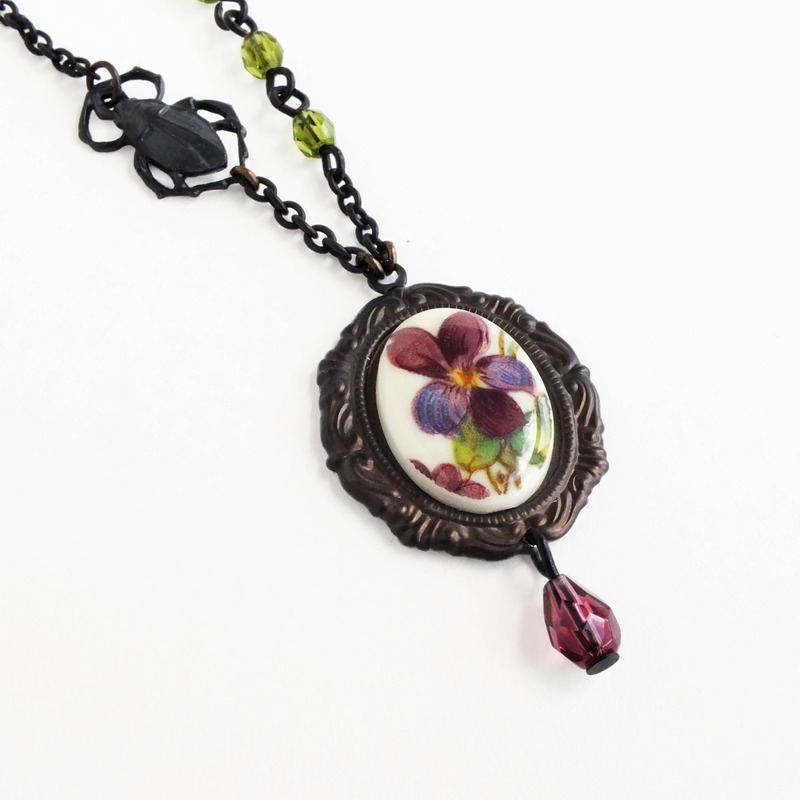 Delicate Victorian necklace featuring a genuine vintage purple pansy cameo set in an ornate oxidized brass frame adorned with a small vintage purple Czech glass drop. 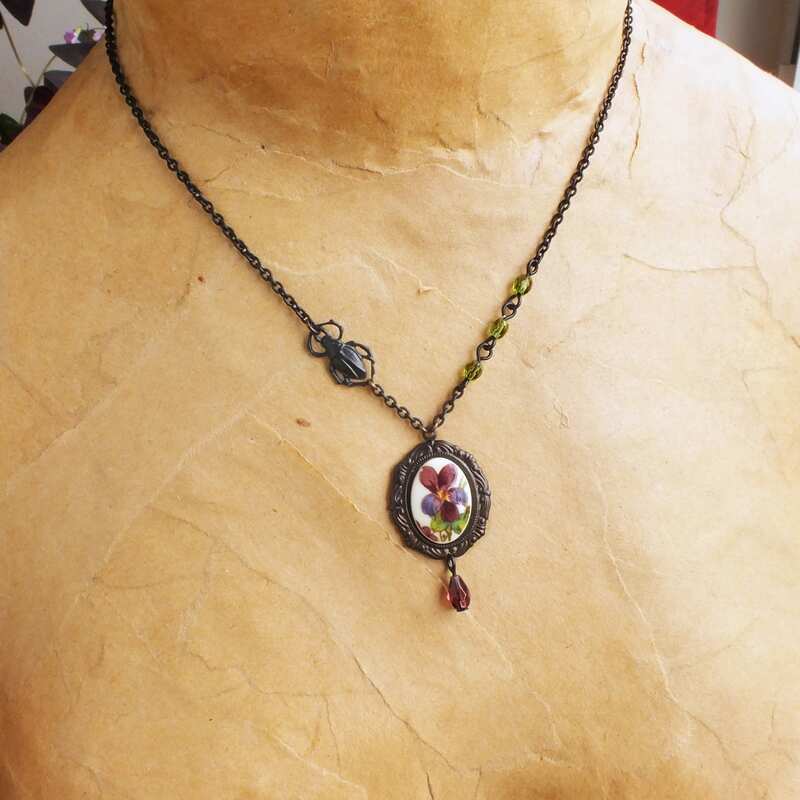 Hung from a delicate oxidized brass chain with olivine Czech glass beads and a small beetle charm.